We offer a 20% discount on books which will be used in the classroom or school library. This includes home schooling. We’re happy to order books for your civic group or community organization. Contact us for details. 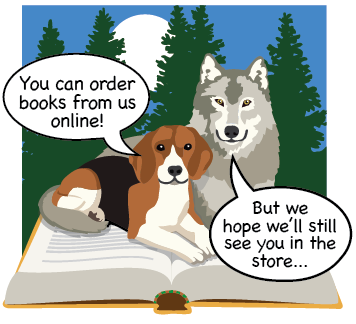 Buy E-books from KOBO through Beagle and Wolf Books & Bindery. Please contact us if you need help setting up an account or working with your device. We offer in-store help—and we even make house calls! Beagle and Wolf Books & Bindery sells KOBO e-readers and Kobo e-books, which can be read on your iPad, laptop, computer, smart phone, tablet or e-reader. Stop by the store for a demonstration of the KOBO e-reader. To sign up for an e-book account, ask for help at either store, or download these simple directions. For help with problems during the initial set up of a KOBO e-readers or tablet, call us at 218-237-2665. 1. 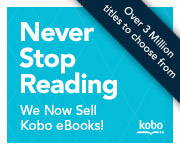 Visit Kobo.com/help, and click the link to "Contact Customer Care." 2. Fill out the web form with your contact information and a description of the issue. 3. By clicking "Phone," a "Click 2 Call" box will open, asking you to provide the telephone number you wish to be reached on and the call will be immediately queued with the next available representative. Chat and email options are also available. Each option is flagged with an estimated wait time.